When you acquire a puppy, one of the first things you should do is have him checked by a vet. This examination is possibly the most important one your puppy will ever have. You need to be sure that your new puppy is healthy and free from serious defects such as a cleft palate or heart abnormality. At Vetrica, this initial examination is free¹. In this section you will find information about our Puppy Health Plan Plus, which protects your puppy against the major infectious killer diseases and guarantees protection against fleas, ticks and worms. We also have a number of fact sheets with information about puppy health and welfare. All dogs should be protected from flea, tick and worm infestations. These potentially serious problems are some of the most common sources of suffering in the dogs seen at Vetrica. 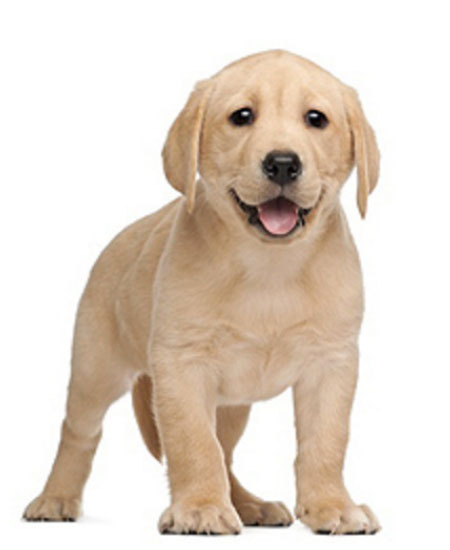 Puppies should also be vaccinated against the serious infectious killer diseases. Against distemper, hepatitis, leptospirosis, parvovirus and parainfluenza (at 6-8 weeks old), with a second injection (at 10 weeks old) administered by one of our vets. With Simparica, which provides continuous protection against fleas, ticks and mites (sarcoptic and demodectic mange, and ear mites). We provide quarterly treatments for roundworms, hookworms, whipworms and tapeworms using Milprazon, conveniently sized palatable worming tablets. We guarantee your dog will not have fleas (after 3 months of correct use), or we fix it free². • Less than half price microchip. Permanent microchip identification for only £11.50. •10% off all waiting room sales. This includes collars, toys and treats as well as Hill’s Science Plan and our own brand high quality hypoallergenic dog and puppy foods. This plan would cost over £220 if taken as individual items. If you enrol for the “Puppy Health Plan Plus” we are able to offer you an excellent discount and an option to spread your payments. 1. A single fee of £156 payable at the time of vaccination. 2. Spread the cost over six months: an initial payment of £26 (by cash/cheque/card), followed by five payments of £26 payable by monthly Direct Debit. Please note: Puppies that become more than 40kg in weight (88lbs) before the end of the plan will require additional packs of Simprica which is charged extra. Please ask for further details if you think this may affect your puppy. Note 1: Puppies that are not receiving their first vaccination with their first check up will be charged a Standard Examination Fee, but this is refunded from the cost of any subsequent vaccination/Health Plan taken out within 3 months. Note 2: All dogs and cats in the household must also be treated with products supplied by us, at the recommended interval, for the flea free guarantee.